One of the problems frequently highlighted in Cuba - including by the Communist Party newspaper Granma - is that of low productivity. 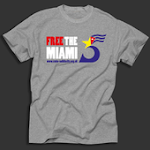 On our recent visit to the island with the Morning Star/Cuba Solidarity Campaign media group one friend told me ruefully: "Cubans have become used to getting everything given to them. In a sense the state has been too paternalistic." On the one hand one can feel impressed by the somewhat leisurely pace at which work appears to be going on in the country. Tobacco workers at a factory in Pinar del Rio told us for instance that they each had a quota of 100 a day to make, from the original leaf to the finished rolled cigar, but the pace seemed unstressful and the staff were chatting and laughing as they worked. On another occasion in Havana we stopped to chat to a flour depot worker who was having a break, sitting on a low wall against the pavement. We got talking with him and he soon told us that wages were not enough for him to buy what he wanted in cucs (the Cuban convertible peso). A discussion ensued and we must have talked for a good 20 minutes before a foreman came up and told him to get back to work. I couldn't help thinking that such a long break would not have been permitted in most workplaces in Britain. That worker's relaxed, unhurried and unworried attitude may seem a good thing to many of us from a humanitarian point of view. But we have to admit it is probably not so good as regards efficiency or productivity. That does however raise a further question - what is a socialist society for if not to provide a comfortable and enjoyable life for all citizens? Should workers have to work at breakneck speed in order to make a living wage? Most workers would say No - working conditions should be pleasant and reasonable. The problem is that Cuba, despite its socialist system, is still an underdeveloped country. Although the national income is more equitably distributed among the population than in any capitalist country it has to be able to afford the health and social care, education, sports and cultural facilities it provides the population. Most Cuban people perceive the existence of a dual currency as unfair and corrosive. While at least Cubans are spared the indignity of separate hard currency shops as existed in the Soviet Union, where one could not enter unless one had hard currency, nevertheless many sought-after goods which have to be imported are only available if paid for in cucs. One cuc is equivalent to 25 pesos. Wages are anything from 250 to 450 pesos a month, so one can see that a pair of trainers costing 50 cucs is pretty expensive. Cubans can trade their pesos for cucs and the flour-depot worker mentioned above told us that he pays 100 pesos (4 cucs) monthly towards buying his own flat, out of a monthly wage of 300 pesos. The dual currency is a measure forced on Cuba by economic isolation due to the US blockade. The blockade prevents Cuba importing goods at cheaper rates and the US sabotages food import deals with other countries by stepping in and offering third countries more for the goods than the price already agreed with Cuba. It stops Cuba from importing advanced medicines available only in the US and prevents it from selling its own new home-developed cancer drugs, based on scorpion venom, which have proved effective in trials for certain types of cancer. It bars US citizens from visiting Cuba and it punishes banks and firms in other countries but which also have branches in the US if they try to do business with Cuba. The blockade continues mercilessly despite the fact that at the United Nations general assembly 186 countries called again for its abolition in 2011. Only the US and Israel backed the embargo, with the tiny island states of Micronesia, the Marshall Islands and Palau abstaining. The blockade is not merely an expression of US disapproval of the Cuban system. It is an act of war against Cuba intended to stifle the revolution, prevent the country's development and thus cause dissatisfaction among Cuba's citizens. The revolution's continued success will no doubt depend on the extent to which the Cuban Communist Party remains close to the people and is able to interpret what the people want. The latest measures enacted by law last November allowing citizens to buy and sell their homes and cars suggest that the party is responding to popular demand. Cubans are well educated and have already achieved all the basics - good health care, social care, enough food and cheap, if still inadequate, housing. But it's probably true to say that many Cubans, especially the young, want more consumer goods, cars and better housing. Cuba's excellence in medicine is well known and this is also now a money-spinner for the country. 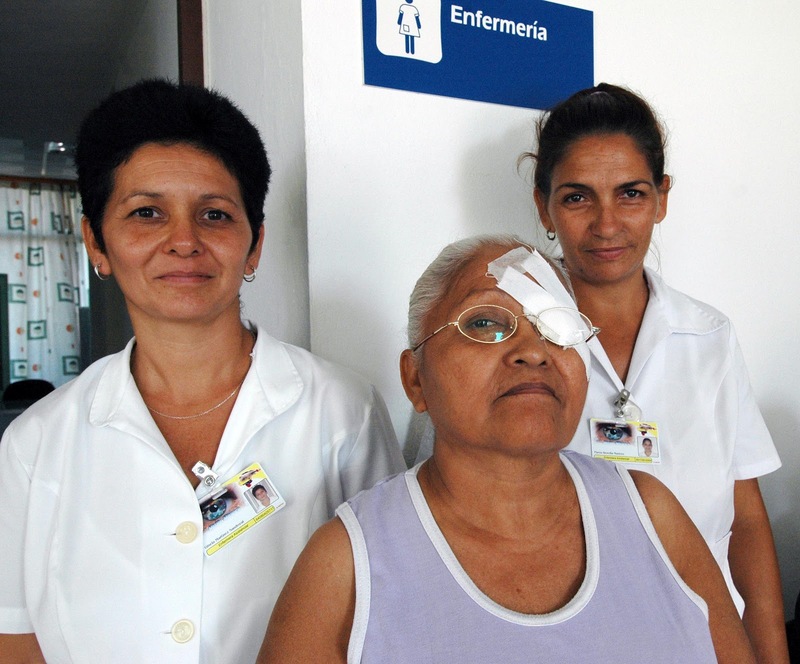 Cuba has contracts with several other countries to provide doctors to operate health clinics and carry out operations such as cataract removal. Operation Miracle, for example, has already restored sight to hundreds of thousands of Latin Americans. Cuban doctors work abroad for a few months or a year through such inter-government contracts and Cuba benefits from the income this generates. Similar schemes exist for literacy teachers and increasingly for sports trainers too. Cuba is justifiably proud of its many achievements, one of the most impressive being the Latin American School of Medicine which trains doctors from poor regions of Latin America and, more recently, from other parts of the world. We met staff and students from the school, which is set in a lovely campus by the sea. We met Vice-Dean Maritsa Gonzalez and Vice-Rector Eladio Valcarcel who told us that the idea of the school, which was set up in November 1999, came from medical brigades Cuba had sent to earthquake zones in Indonesia, Pakistan and Haiti, where they saw that poverty-stricken local populations had little or no access to doctors. The Havana school started with 1,900 students from 18 Latin American countries. Today, after seven years of graduations, it has 10,000 students from 100 countries. All are trained free, with no tuition fees and food, lodging and a small student grant paid for by the Cuban state. The course is six years long after a one-year initial course which includes language classes for non-Spanish-speaking students. Second-year students Joel from Guyana and Mark from the Solomon Islands told us their course was tough but that they have a lot of support to help them succeed. Mark said students are allowed to repeat years if necessary, and Joel told us: "The worst thing is getting used to the different food!" The school is proud of the fact that 50,000 students in other countries have been trained by Cuban health brigades. 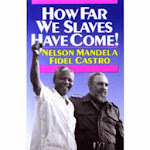 Most go back to their own countries to work in the poor communities they came from. Ms Gonzalez told us: "It's like a gift from Cuba to other countries." This article was written by Kate Clark and originally appeared in the Morning Star. The first part of the article can be read here.